Find out about some of the downsides to a care home and, more importantly, what your alternative is for elderly care. 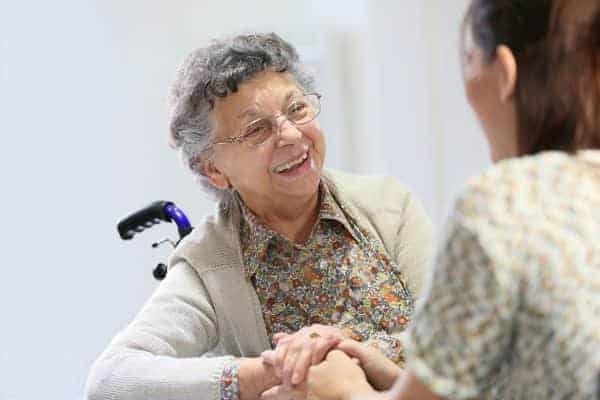 Later life can still be fulfilling and happy even when you need help, but that’s only the case if you spend time researching the different types of care and finding the one that suits you best. If you’re thinking about a care home you’ll need to look at all the pros and cons of the main options before making a decision. It isn’t easy to look at the downsides of care because you’re acknowledging that you may well need to accept those downsides as part of your future life. However, going into anything with open eyes means you have the opportunity to prepare and make an informed decision. Shockingly, as our No Place Like Home report show, 37 percent of people in residential care homes and nursing homes never leave their homes. Can you imagine being inside your home all the time for years on end? Not seeing different scenery or people, being stuck in the same four walls every single day. As an older person you should be able to tend to your garden, attend knitting clubs, go for coffee or do anything you want to do outside of where you live. Needing help getting out and about doesn’t need to be a barrier to doing these things. The No Place Like Home report found that 30% of over 65’s and 50% of over 80’s fall at least once every year. Those in residential care homes are amongst the highest risk for falls which can result in nasty injuries. Hip fractures account for a high number of fall injuries and, unfortunately, hip fracture patients are at serious risk of either passing away, or losing their independence because of their injury. Almost one third fewer people fall when they are in live-in care compared to when they are receiving care in a residential home. Shocking statistics released in the news in 2016 showed that one in four nursing home residents are depressed. What is even more shocking is that many of those who admitted to feeling depressed assumed it was just a natural part of ageing. It absolutely isn’t and you’ve every reason to be happy and fulfilled in your later life. 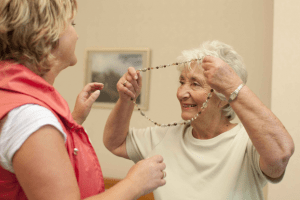 These are just some of the downsides to residential care homes. Clearly there are benefits too and they are a good choice for some people. However, for the 97% who do not wish to go into a home, there are other options, such as live-in care or home care. Live-in care is where you remain in your own family home receiving help from a carer who lives with you. The costs are comparable to care home fees. If you would like a great alternative to residential homes, live-in care should be a top consideration for you, because everybody deserves to be happy in all stages of their life. What an interesting blog! These are things you don’t necessarily consider when looking at care homes. Another great Article on the benefits of homecare. Excellent article. Live-in Care is a great alternative to a residential home. Cost comparisons shock a lot of people. Care homes are much more expensive. I read yesterday that 1 in 5 elderly are affected by depression. It goes up to 2 in 5 in care homes which must mean that for those not in care homes the number is far less. Very good point Jasper and, as I say in the blog post, what is also such a shame is that some elderly people believe depression is just a natural part of getting older when it doesn’t have to be like that. I think we all need to make sure that older people know they have good options that can help them live a fulfilling life in their later years even if they might need some physical help with everyday tasks. As ever a very interesting article. 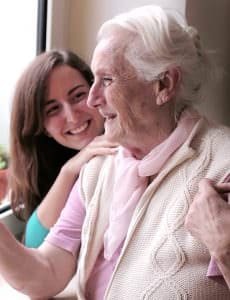 promoting the benefits of live-in care! Old age wouldn’t seem so daunting if this was available for all. Agree wholeheartedly that everyone should have the choice of where to live and where t hey are cared for in their old age. It’s important to present the options, thank you. What an interesting article! It’s unbelievable to think how many people never leave their care/nursing home to go outside. It’s so important for people to go outside and socialise and that is one benefit of live-in care; the Carer is able to assist with going outside and this means you can carry on doing the things that you love to do. Thanks for commenting Cerian – you’re quite right that it’s unbelievable that some older people never leave their care homes even when they are capable of doing so with a bit of help. Fortunately that’s not the case for those with a live in carer but there is still the belief among so many people that care homes are the only option for their elderly relatives when that is not the case. 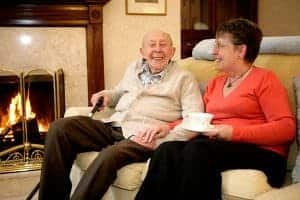 Absolutely excellent article – it provides for some interesting reading on the benefits of live-in care at home, over a traditional care home.